I am a sugar addict. The first four days were the darkest and foggiest days I have ever experienced and I attribute it to “kicking” sugar. After that, I was amazed at how it felt to not crave sweets (a first). My Allergic Rhinitis can be cured with food. By day 10 instead of reaching for my steroid nasal spray 4 times a day to breathe better, I was forgetting to use it. My nose was clear on its own for the first time in years. If you’re going to JERF (Just Eat Real Food) you gotta be prepared. On day 22 I was a 2 hour drive from home and unexpectedly delayed by about two meals. Starving, I decided that having a little cream would hold me over better than anything else that I could find along the highway (FAIL). Always have emergency nuts or veggie sticks or jerky or coconut milk - just in case you find yourself far from any paleo/lowcarb grub. I have a dairy allergy or sensitivity. The next day I woke up with sore ears, stuffy nose and a sore throat. Remembering my dairy cheat, I hoped I had just caught a virus. 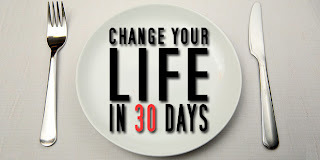 Even though my Whole30 was over, I resumed the diet until March 30th. On April 1st I tested dairy again. The same thing happened; it felt like my ears were blocked and my nose was completely stuffed up. Sweet potatoes and I don’t agree. While doing the Whole30 I ate more carbs than my usual (berries and some “safe starches”). I enjoyed them, but discovered they gave me a stomach ache, made me bloated and zapped my energy. (Overall I only lost 3 lbs. in March but my pants got a lot looser). I don't miss grains or legumes: I had been grain and legume free for a while, so that part wasn't a challenge. But the prospect of being "allowed" to have them again in April shed light on the fact that I no longer have any interest in them (I would just as soon eat sawdust). Not even my favorite, homemade jalapeno croissants, sound the slightest bit appealing. Making Ghee is easy. As butter is not allowed, I made my first Ghee and found it surprisingly tasty. I continue to be dairy free and I am now nasal spray free even in the midst of allergy season. Going into this challenge I really wanted to convince myself that I didn’t have a diary issue. But now that I got over that disappointment, I am finding the adjustment easier than I imagined. My weight loss rate picked up (5lbs in two weeks). I believe that is due, in part, to reduced inflammation as a result of refraining from diary, preservatives and "frankenfood". After my slip back into sugarland at Easter, I found that I was looking for just a little bit of chocolate, more and more often. The more I had it, the more I craved it. I don't dabble as much anymore, as I find it just creates more cravings and is physically uncomfortable (more so than before March). I am please to report that our diet has improved as a result of the program. We are eating less sweets and less packaged food now. I don't see us ever going back to the way we ate before March, as I experienced how great it feels to only, strictly eat, pure,whole food. I am on Day 6 and experiencing a stuffy nose. This was helpful.